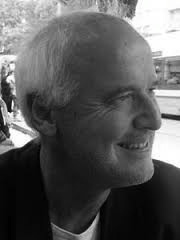 Howard Caygill is Professor of Modern European Philosophy in the Centre for Research in Modern European Philosophy at Kingston University. His most recent book is On Resistance: A Philosophy of Defiance (Bloomsbury, 2013). This entry was posted on Thursday, January 2nd, 2014 at 5:27 pmand is filed under . You can follow any responses to this entry through the RSS 2.0 feed. Both comments and pings are currently closed.